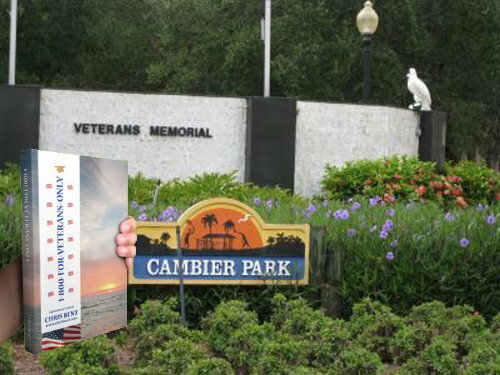 VVV Volunteers Sandra Simmons and Brian Dawson represented our Veterans Visiting Veterans group at the 2015 Memorial Day celebration in Cambier Park in Downtown Naples presenting almost 100 attending veterans with a copy of the book 1-800-For-Veterans-Only and personally thanking each veteran individually for their service to our country. 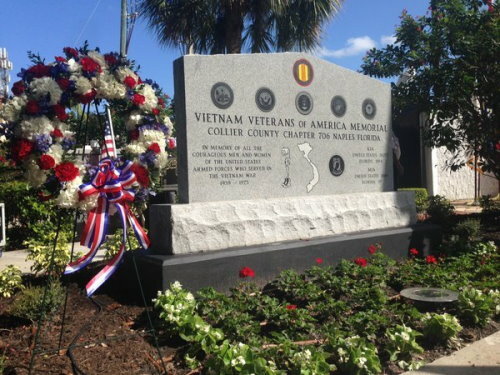 A highlight of the day’s celebration was the unveiling of the City of Naples new Vietnam Veteran Memorial as a part of the larger Veterans Memorial in Cambier Park. 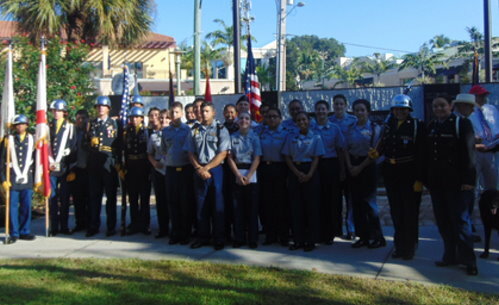 The Naples High School Army JROTC cadets once again supported our community by helping out at the ceremonies at Cambier Park where they provided the color guard, roving guards, and assisted with set up and tear down.